Tony Williams of Lakeshore High School is the EWSJM Sports Berrien County Male Student Athlete of the Year. Tony was a member of the Lancer Wrestling and Baseball teams. In wrestling, he finished the year with a 46-3 record with 21 pins. 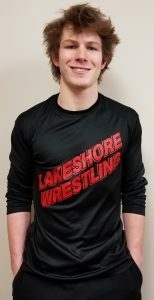 He won Berrien County, Southwest Michigan Athletic Conference, and District Championships, and placed 3rd at the State Finals at 140 lbs. He finished his four year career with a record of 168-26. 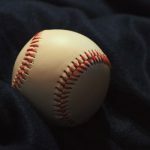 In baseball, Tony is seen as one of the top third basemen in Southwest Michigan. He was a member of the 2017 State Championship team and has helped lead the Lancers to another deep playoff run this season. Tony was also a member of the National Honor Society and attended the Math & Science Center. In the classroom, he graduated with a 4.38 grade point average and will continue his academic and wrestling career at Stanford University. Tony is the son of Tony and Eileen Williams of Stevensville. Sarah Jackemeyer of Michigan Lutheran High School is the WSJM Sports Berrien County Female Student Athlete of the Year. As a member of the Titan Volleyball team, Sarah earned First Team All-Conference and All-Region, and Honorable Mention All-State honors. She also earned Academic All-State Honors. She finished ranked 2nd all-time in blocks and 3rd all-time in kills and digs at Michigan Lutheran. In basketball, she was named BCS Conference White Division Player of the Year while earning Honorable Mention All-State honors and Academic All-State honors. 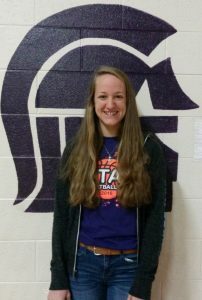 She was also named an Outstanding Senior Student Athlete through the Basketball Coaches Association of Michigan. She finished ranked in the top ten all-time in seven different categories at Michigan Lutheran. In soccer, Sarah earned First Team All-Conference and All-District honors while being named the BCS All-Conference MVP. Sarah was also a member of the National Honor Society, Student Council, Band, Pep Band, and Choir, and served as a Student Ambassador. She graduated with a 4.02 grade point average. Other awards she received her senior year included the BCS Scholar Athlete Award, Fruitbelt Officials Association Scholarship Award, National Merit Scholarship, Michigan Competitive Scholarship, Calvin College Presidential Scholarship, Michigan Interscholastic Volleyball Coaches Association Scholarship, and various Berrien County 4-H awards. 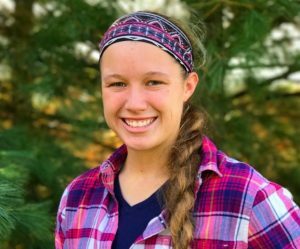 Sarah’s volunteer activities included Berrien County Youth Fair Exhibits, Vacation Bible School, Project Christmas, food, water, and paper drives, school sports camps, Senior Services Day activities, nursing home functions, and Three Oaks Flag Day activities. Sarah is the daughter of Mike and Susan Jackemeyer of Buchanan. Benton Harbor Boys’ Basketball Coach Corey Sterling is the WSJM Sports Berrien County Coach of the Year. Coach Sterling led the Tigers to the Class B State Championship with a 65-64 overtime win over Grand Rapids Catholic Central. Leading up to the tournament, Benton Harbor finished with a 19-1 regular season record with wins in the Winter Breakout Classic, I-94 vs. I-96 Classic, Paul Wilhite Classic, Earl McKee Holiday Tournament and the Floyd Mayweather Classic. In winning the state title, the Tigers finished with a 27-1 overall record. Their average margin of victory in the post season was 17 points. 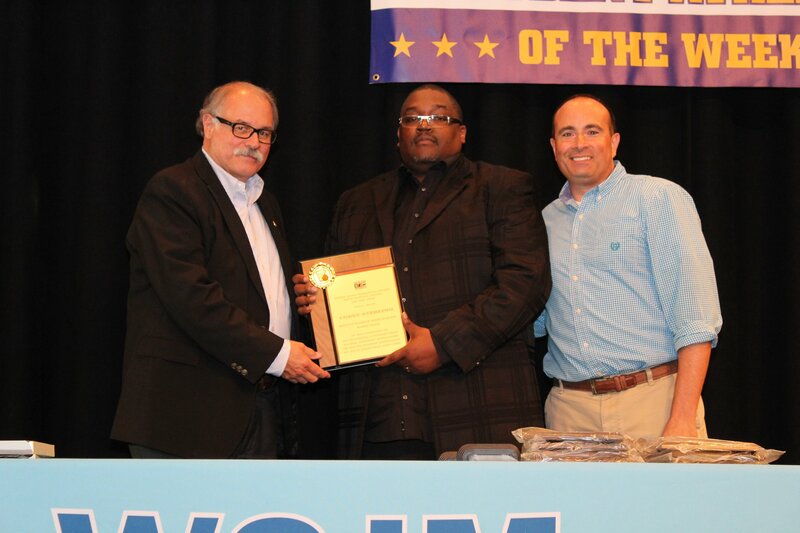 Coach Sterling was also named Boys’ Basketball Coach of the Year by the Basketball Coaches Association of Michigan. Erik Mroczek of Decatur High School is the WSJM Sports Van Buren/Cass Male Student Athlete of the Year. In football, Erik threw for 1,258 yards and rushed for 322. He was a three year starter and led the Raiders to the playoffs this past season. His efforts earned him 1st Team All-Conference honors. In basketball, he again won 1st Team All-Conference honors. He averaged 21 points, six rebounds, and five assists per game. Erik also earned 1st Team All-Conference honors in baseball. He played in the outfield for the Raiders and finished with a .368 batting average. 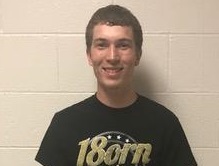 He was a member of the National Honor Society while serving as Vice President of the Student Council and a Student Leader of Decatur’s student body Gold Crew. He is also an active member of his church youth group. He graduated with a 3.94 grade point average. Erik is the son of Kris Mroczek of Decatur. Haley Kreiger of South Haven High School is the WSJM Sports Female Student Athlete of the Year. Haley earned All-Conference, All-Region, and All-State, and Academic All-State honors in volleyball. She finished with 1,129 career kills, ranking her in the top ten all-time in the state of Michigan. She also finished with 230 career aces. In softball, her season stats following the Rams Regional Championship included 6 home runs, 59 runs scored, and 26 stolen bases. She holds single season school records in batting average, hits, runs scored, doubles, and at bats. Haley has been a member of the National Honor Society and graduated with a 3.91 grade point average. Haley is the daughter of Brian and Linda Kreiger of South Haven. 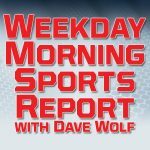 Edwardsburg Football and Girls’ Track coach Kevin Bartz is the WSJM Sports Van Buren/Cass Coach of the Year. 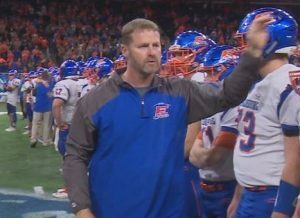 Coach Bartz led the Eddies to the Division 4 State Championship game. Leading up to the trip to the title game, the Eddies won their 5th consecutive Wolvering Conference Championship along with the District and Regional Championships. Their performance earn Coach Bartz Division 4 State Coach of the Year honors. Coach Bartz led the Lady Eddies’ Track team to a 9-0 regular season dual meet record. 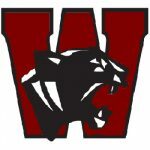 They placed 2nd at the Wolverine Conference Championships and then went on to win the Regional Championship. He was named the conference Coach of the Year.